About a month ago, David Quin of the Free Ed Podcast began to populate his Twitter feed with a long list of men for whom he'd "go gay." We're talking about a long list. It might have been faster for him to name those who didn't make the list. 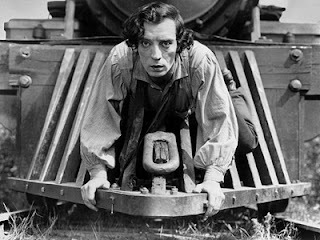 Anyhow, THE FUTURIST! and I concluded that we too should make top 5 "Go Gay" lists in Mr. Quin's honor. And after quite a bit of wishy-washy delay, our lists are here. There may be one or two differences in eligibility requirements, no doubt because we kept changing them (I had down that all the honorees would be from the cinematic arts, but THE FUTURIST! included an author), but both our lists are now live. Read THE FUTURISTS! 's here and read mine below. of that thing in his mouth. 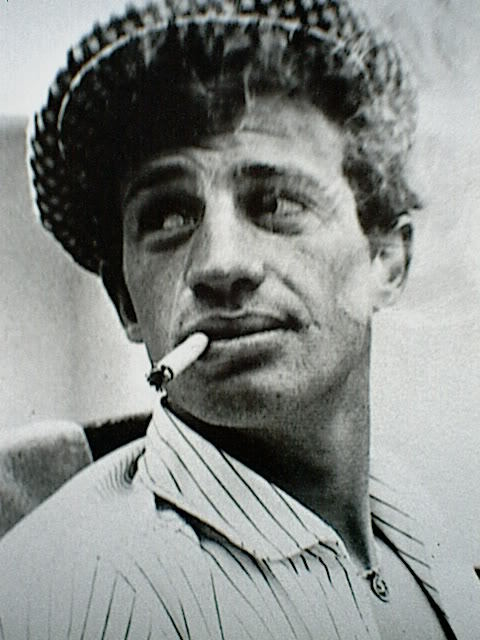 We all know that Belmondo has some impressive facial contortions up his sleeves, and I don't see how that couldn't come in handy in the bedroom. But that's not why he made the list. No, he made it for his assured presence, his ability to be suave one moment and silly the next, without ever losing his sexual aura. Among the many men on Mr. Quin's list was any-era Orson Welles (despite THE FUTURIST! 'S concerns that older Welles would crush Quin). But I'm oriented more toward Welles's friend and colleague at the Mercury and beyond. You can tell that Cotten knows how to treat a fellow. He'd make me feel safe, and I'd let him do whatever he wanted to me, trusting that I was in good hands. Jessica Mathews: "I think it would be fun to run a newspaper with Joseph Cotten, especially when we have to work late alone together at night." Me: "Get him a little drunk." This should come as no surprise to anyone who has ever spoken to me for more than 38 seconds. Buster could stand erect while my facade fell down around him any time. There are a number of reasons for which to go gay for Buster, each of which would be a good enough reason on its own. 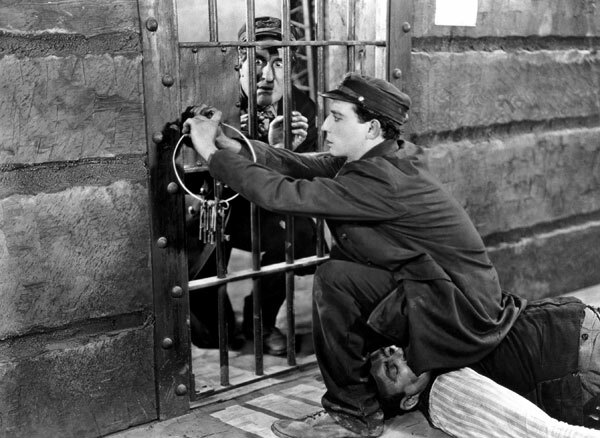 He is a genius—both a master storyteller and innovative craftsman, and cinema IQ turns me on. And we all know how flexible he is. The man toured the country taking a licking on stage and was always back up and ready for more before you could shout for it. And there's no question he'll finish the job—if he can complete a take after breaking his neck, think what he can do while roughing it in the sack. Sometimes Ewan makes one pray for a gust of wind. makes me want him more. Ruffalo, say it aloud. The name rolls off the tongue, just as I'm sure the man himself rolls off the tongue. 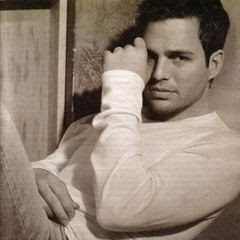 Studly and unassuming, Ruffalo is always impressive, and never worried about proving himself. That's right, folks, he doesn't need to compensate for anything. Quite ribald in some of your descriptive text, Jeremy. THE FUTURIST tried to more ... romantic. Anywho, kudos on your list and participating in this venture of male security. No one can dispute that you and THE FUTURIST! are secure males. *cough cough* Oh ... where was your WILD CARD GO GAY FOR pick? I found your list through The Futurist!. Interesting choices! 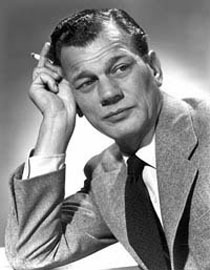 Good call on Joseph Cotten.